A hands-on way to play and learn. Based on USDA's Choose MyPlate program. 8' parachute features 8 handles. Combines a kid-loved activity with nutritional tips! 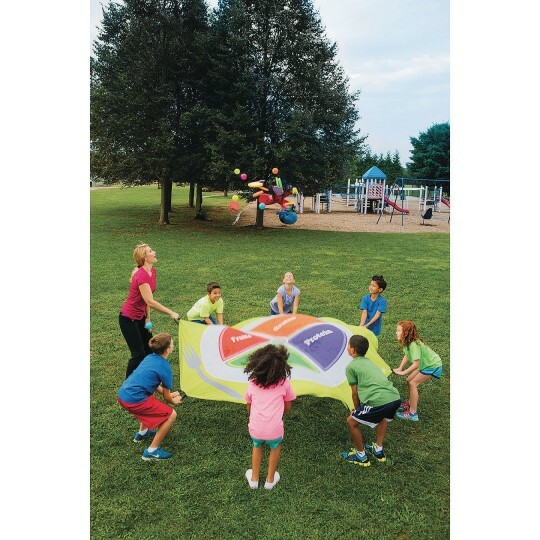 Our durable polyester fabric parachute is a hands-on way to play and learn. 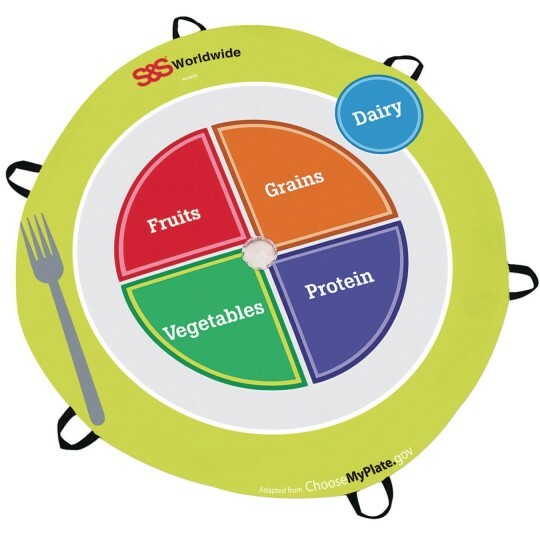 Features digitally imprinted graphics adapted from the USDA's new Choose MyPlate nutritional program. Features 8 handles. At 8' diameter, it's the perfect size for anywhere from gym to outdoors. 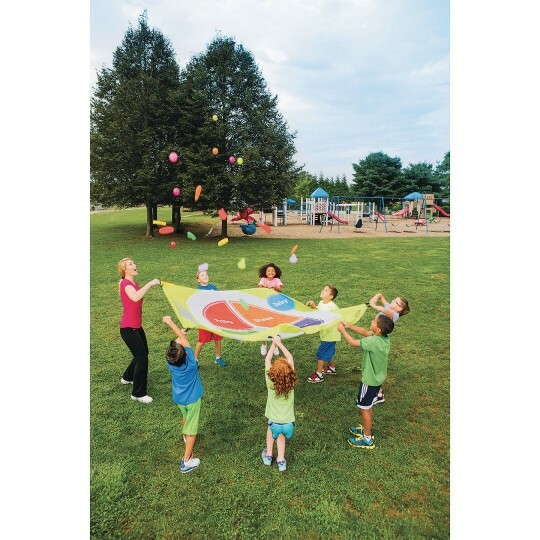 Great for traditional parachute activities – Lay on the ground to make a large toss target or use as a sorting mat with our W10083 and W10084 foam foods. Note: The graphics on the parachute are the same as the image shown, but the actual product has 8 handles. 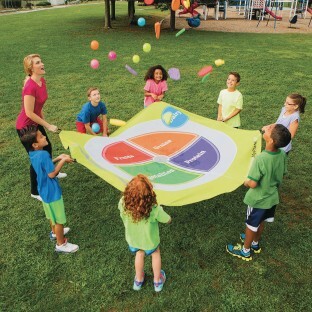 Great concept but hard to get children to use it as nutritional tool and not just a parachute game!